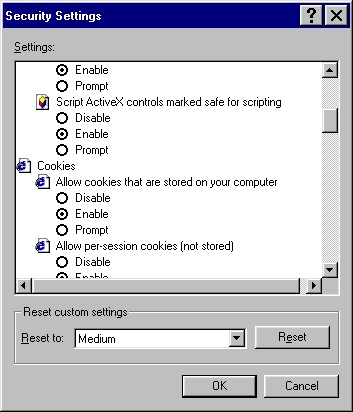 The instructions below give you specific information on how to enable cookies in Internet Explorer to work with our site. Please scroll down for the specific version of Internet Explorer that you are using. You can see what version of Internet Explorer you are using by clicking the Help tab on the toolbar at the top and then clicking on "About Internet Explorer." If you are using another type of browser such as AOL or Netscape click on the links below. In the field under "Address of Web site," type in www.ncsacademy.com (making sure there are no typos) and then click the Allow button on the right. Then click the "ok" button at the bottom of the screen. 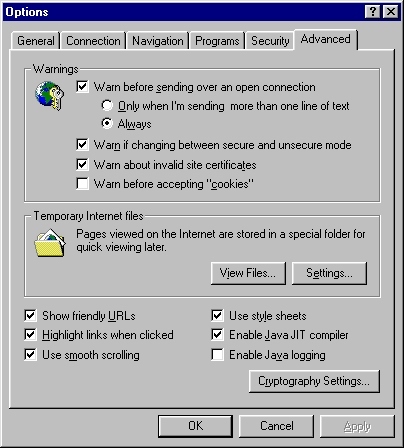 This will allow your system to accept cookies just for www.ncsacademy.com but leave your cookie settings unchanged for other sites that you visit.